Gemco Rail provides a custom maintenance, modification, retrofit, and upgrade facility for all types of railway wagons and rail associated equipment. With specialised staff and equipment to service the rail industry, our modern workshops are located in five states across Australia, ensuring ready access to service technicians and equipment. Additionally, we employ field service technicians to undertake call-outs and conduct repairs to your assets on location. 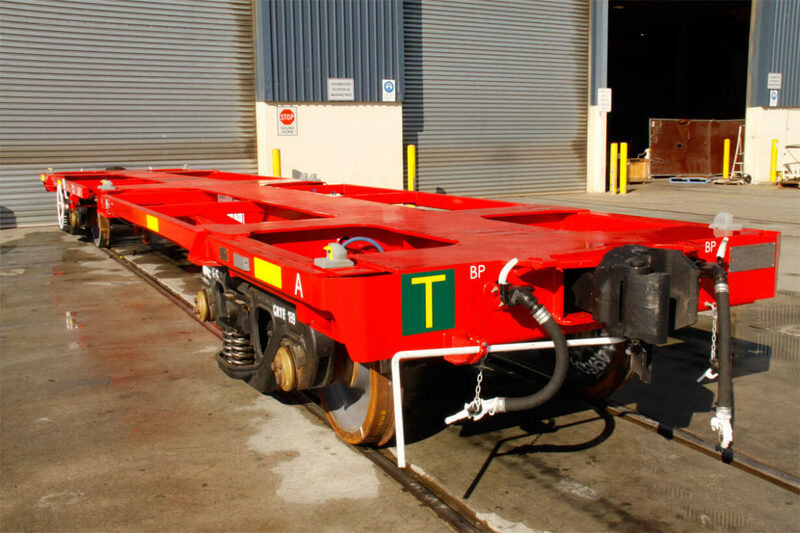 Gemco Rail is a leading manufacturer of quality rollingstock in Australia. Gemco Rail is able to listen to your ideas and requirements, then develop detailed specifications for the manufacture of your custom-built wagons; all in keeping with regulatory requirements. Our staff across Australia have specialist skills in the rail industry providing engineering, planning, management, and total control projects. Using SolidWorks 3D modeling and FEA package, Gemco Rail is capable of quickly creating and verifying designs to customers’ standards and requirements. Gemco Rail can provide a range of options on wagon refurbishment depending on the client’s needs. Gemco Rail employs skilled engineers, drafting, and trades staff to provide your organization with customised solutions for refurbishment of your existing wagons, retrofit now components for improved efficiency and safety, and manufacture custom-built components. Our wagon refurbishment operations involve stripping down wagons, reconditioning all necessary components, manufacturing new components to specifications, installing new build, testing, painting, and servicing. Gemco Rail is experienced at re-engineering wagons to extend the life and/or to convert wagons for use in another application. Gemco Rail is a leading manufacturer of custom-built Ballast Car Gates in Australia.